Unfortunately I don’t have time to write down 2,000 different Oscar flubs, so I’ll just focus on the year 2000. Shoulda Been Nominated: Fight Club, Eyes Wide Shut, The Straight Story, The Talented Mr. Ripley, Magnolia, Three Kings, Being John Malkovich, All About My Mother, Election, The Matrix, Mumford, and a whole host of other great films came out. 1999 was the strongest year for film in twenty years and yet these were the five nominees the Academy chose? Based on the the rules of this game – which are arbitrary and made up – I have to choose a deserving winner among the actual nominees. 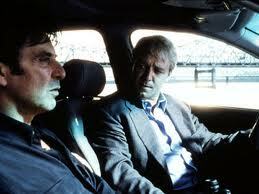 Under that rule, I think the winner has to be Michael Mann’s The Insider. I think it has the best Russell Crowe performance ever – understated, complicated, fatigued – and the best Al Pacino performance of the decade, one where he doesn’t go over the top. There are classic scenes (“Mike? Miiiike? Try Mr. Wallace.”), wonderful supporting turns by Christopher Plummer, Gina Gershon, and Bruce McGill, and a brilliant script by Eric Roth and Michael Mann that is a bit reminiscent of All The President’s Men. It’s a film about journalism at a specific time in its history and it’s the defining film about television journalism, in the years before the internet took over. It holds up remarkably well, much better than American Beauty which now seems trite, heavy-handed, and way too on-the-nose in its allusions. American Beauty is still a fine film, but it’s not the classic we thought it was at the time. The Insider, on the other hand, is ever better than we thought. But neither of them are as good as Fight Club, Magnolia or Eyes Wide Shut. The nominees were: Sam Mendes for American Beauty, Spike Jonze for Being John Malkovich, Lasse Hallstrom for The Cider House Rules, Michael Mann for The Insider, and M. Night Shyamalan for The Sixth Sense. Shoulda Been Nominated: Fincher, Kubrick, Lynch, Minghella, P.T. Anderson, Almodovar, David O. Russell, etc. etc. Mendes won the Oscar and for all the reasons I mentioned above, I think ever aspect of American Beauty was overrated at the time. I think Mendes did a fine job handling the tone in that film, but his work isn’t as innovative as Jonze’s in Being John Malkovich. Jonze also had to tame a particular and odd tone with his film and he hit it out of the park, finding the delicate balance between comedy and longing. I think it’s a no-brainer that this should have been Jonze’s award. The nominees were: Kevin Spacey for American Beauty (and he won), Russell Crowe for The Insider, Richard Farnsworth for The Straight Story, Sean Penn for Sweet and Lowdown, Denzel Washington for The Hurricane. Shoulda Been Nominated: Matt Damon gave a brilliant performance in The Talented Mr. Ripley that was overlooked by everybody because of Jude Law’s flashier performance in the same movie. Damon plays the difficult part in that film and he kills it. No pun intended. 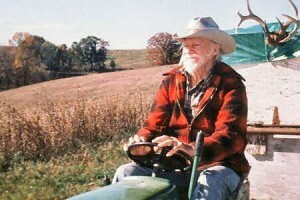 All of these are really strong performances, but for me this goes to Richard Farnsworth. I think Farnsworth’s performance in The Straight Story is one of the top 20 performances I’ve ever seen. His Alvin Straight is quiet, humble, wise, stubborn, and kind. He’s a man with a lot of demons and we see them all, even the ones he doesn’t speak about. We are invested in his story, in his quest, to find his brother because we believe in him and we believe in his moral compass – even if it’s different than our own. He’s a man that has earned the right to do as he wishes and we see the respect he is given by those around him, but we don’t just have to take the movie’s word for it that he’s a man worthy of our respect – he earns it. We respect this man. Farnsworth is the reason for it and he’s the reason why this movie is one of the very few that makes me cry every single time I watch it. Shoulda Been Nominated: It’s a real shame that Reese Witherspoon didn’t get any love from the Academy for her head-turning work in Election. She imbued Tracy Flick with heart, soul, guile, heartlessness, and soullessness. Wow. Not the strongest crop of Best Actress nominees. Even still, the Academy definitely got this one right. Swank deservedly got the award for her stunning and heart-wrenching portrayal of Brandon Teena. Just a fantastic performance that later made her one of the more overrated actresses of the last ten years. Still, this one was perfect. Shoulda Been Nominated: Sydney Pollack in Eyes Wide Shut, for the pool room scene alone. The dude was commanding while giving an almost twenty minute monologue. Pollack goes through about ten different shades of anger and doubt in that scene and we feel every single one. Michael Caine is fine in The Cider House Rules because he’s Michael friggin’ Caine and he does a flawless New England accent, so he gets points for degree of difficulty. But I think Tom Cruise was so charismatic and tortured and wonderful as Frank T.J. Mackey that he definitely deserved the award. Just like Pollack deserved to be nominated for commanding the screen for twenty straight minutes, Cruise does that feat (for less time) at multiple points throughout Magnolia. He’s filthy, sexist, and mean and yet when he cries at his father’s bed at the end of the movie, he redeems himself. Cruise makes it work. 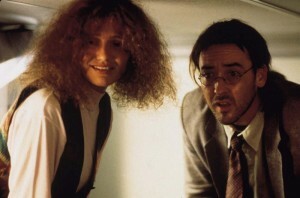 Shoulda Been Nominated: Keener got a nom for Being John Malkovich but not Cameron Diaz? Diaz has the more dramatically difficult part and she really kills it. I mean, she’s an animal-loving, frizzy-haired, secret lesbian who owns a menagerie of pets and we believe every second of her journey. I would have not only nominated her, but given her the award. Of the nominees, it’s hard to find one that I disagree vehemently with. I don’t know that I would give Jolie the award, though. I’m a Jolie fan, I think she’s a really strong actresses, but this wasn’t my favorite of her performances. For me, it’s a toss-up between Samantha Morton and Chloe Sevigny. 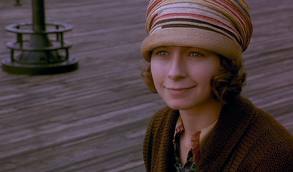 Morton’s face tells a thousand tales in Woody Allen’s underrated Sweet and Lowdown – and it has to, considering she plays a mute. And yet, Sevigny is playing vulnerable, fragile, yet strong enough to be independent. It’s tough, but I think I’d give it to Morton. What about you guys? What would you do? The Insider all the way down the list for me, man. Just a terrific piece of filmmaking, and Russell Crowe’s best performance. 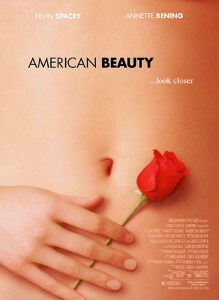 I like American Beauty a lot but don’t think it holds up as well today–too many people have imitated it, I think. Also, this year has one of the biggest Oscar snubs ever, in my estimation: Christopher Plummer should have been nominated and should have won for giving his career-best performance in The Insider. How he was left off the ballot is a mystery to me. 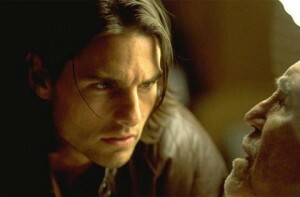 Totally agree with Magnolia and Tom Cruise’s performance. I watched that movie several times. It hasn’t failed to impress me!